Party General Secretary Nguyen Phu Trong has been nominated for being reelected to the country's top post, Party Central Committee member Vu Trong Kim confirmed in an interview with local media on January 24. The official also said that Deputy Prime Minister Nguyen Xuan Phuc has been nominated for the post of Prime Minister, Public Security Minister Tran Dai Quang for President, and Vice-Chairwoman of the National Assembly Nguyen Thi Kim Ngan for Chairwoman. Participants in the 12th National Party Congress worked in their delegations on January 24 to appraise the criteria and structure of the 12th Party Central Committee and the list of nominations fielded by the 11th Party Central Committee. Speaking on the sidelines of the Congress, Kim, who is also Vice President of the Vietnam Fatherland Front Central Committee, said the personnel for the next tenure was thoroughly prepared during the 12th, 13th and 14th plenums of the 11th Party Central Committee. In particular, the 14th meeting geared up personnel for the four key leading positions. 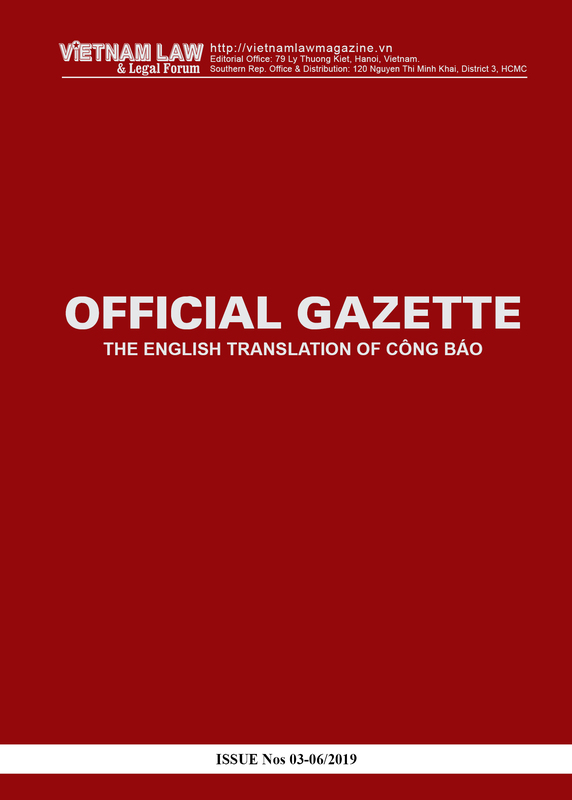 The Politburo reported that it discussed each case and reached a consensus. Some nominees withdrew proactively. 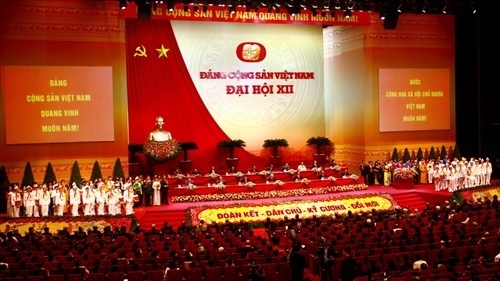 At the 14th meeting, the 11th Party Central Committee discussed three options, cast secret ballots and finally agreed to nominate incumbent Party General Secretary Nguyen Phu Trong to be reelected to this position in the next tenure. Such preparations for key positions were thorough and democratic, he said, adding that the Party Central Committee - the supreme leading body between two congresses - fulfilled its responsibility toward the Congress. In his closing speech at the 14th meeting, Party General Secretary Nguyen Phu Trong stressed that the meeting was successful and sent a good message on personnel preparations to the entire people, Kim noted. Delegate Cao Duc Phat, a member of the 11th Party Central Committee and Minister of Agriculture and Rural Development, said that through a strict process, the 11th Party Central Committee selected and nominated people with sufficient qualifications and virtue to fulfill their roles in the country's new phase of development. The carefully prepared files on the candidates serve as a basis for the Congress's delegates to consider and select the most capable and prestigious people for the 12th Party Central Committee. Potential candidates for the 12th Party Central Committee had been thoroughly discussed from a grassroots level, Director of the Vietnam Academy of Defense Vo Tien Trung told the media on the sidelines of the ongoing 12th National Party Congress. Trung noted that for the first time, the Party Central Committee had outlined a strategic personnel plan to foster officials for future tenures. Six strategic-level personnel training courses had been held at the Ho Chi Minh National Academy of Politics, making it easier for personnel rotation and training. Candidates for the 12th Party Central Committee were nominated by the 11th Party Central Committee, and then had to go through many rounds of voting from a grassroots level up to the Politburo. The official emphasized the resolve of the Politburo and the 11th Party Central Committee to prevent opportunists - those who did not behave ethically and leaders of units where serious legal violations occurred - to enter the new Party Central Committee. He also noted that election regulations at the congress upheld the principle of centralized democracy, under which delegates could nominate themselves or others as candidates for the Committee. When a nominee wanted to step down from the nomination list, it would also be decided by the Congress. On January 22, the Congress approved the number of the Committee's members for the 12th tenure, comprising 180 official and 20 alternate ones, compared to 175 official members and 25 alternate ones in the 11th tenure. In an interview granted to Vietnam News Agency ahead of the event, Politburo member and permanent member of the 11th Party Central Committee's Secretariat Le Hong Anh said four requirements have been set for the 12th Party Central Committee. The 12th Party Central Committee must be a transparent and strong group that is united in will and action, and steadfast in the goal of maintaining independence and developing democracy and socialism. Its members must have firm political will, good morality, a strategic vision and aspiration for creativity and reform. The committee should have a rational membership and a sound structure to ensure comprehensive leadership, while increasing the number of Party Central Committee members working in important fields and ensuring the continuity and development of its work. Members of the 12th Party Central Committee must be outstanding officials in terms of political firmness, moral virtue and competence who meet all necessary qualifications of the personnel strategy resolution. To ensure the Party's comprehensive leadership, the 12th Party Central Committee should have a suitable structure to cover Party work, the Fatherland Front, socio-political organizations, key State agencies at the central level, localities and armed forces. However, in terms of the quality criteria, it does not mean that every locality, branch and sector will have representatives in the Party Central Committee. The plan is to elect 200 members to the 12th Party Central Committee, and 55-60 percent will be reelected. Members under the age of 50 will account for 15-20 percent of the Committee, those between 50 and 60 will make up 65-70 percent and those above 60 will represent 5-10 percent. The goal is to have women representing more than 10 percent of the Committee and ethnic minorities representing 9-10 percent. Another new point in the personnel plan for the 12th Party Central Committee is the nomination of scientists, artists, writers and managers of a number of major State-owned corporations and groups. Pham Binh Minh, member of the 11th Party Central Committee and Deputy Prime Minister and Foreign Minister, delivered a report on deepening international integration in order to serve national construction and defense, and raise the country's international position at the 12th National Party Congress on Saturday. In his report, the official pointed to complicated situations around the world and the region, which had affected Vietnam's national security and development. In response, the country had actively and synchronously carried out foreign relations work while strengthening the Party's external affairs activities, State diplomacy and people-to-people diplomacy to achieve outstanding achievements in the effectuation of the 11th National Party Congress' Resolution, he said. Vietnam had increased multilateral diplomatic activities, shifting from "active participation" to "active contribution", helping heighten the country's international position. These fruits also testified the country's sound policy of independence, self-reliance, peace, co-operation and development, multilateralization and diversification of relations, with active and proactive international integration outlined by the 11th National Party Congress. He said in the next five to ten years, the country's intensive international integration would be mirrored in the realms of politics as well as national defense and security. 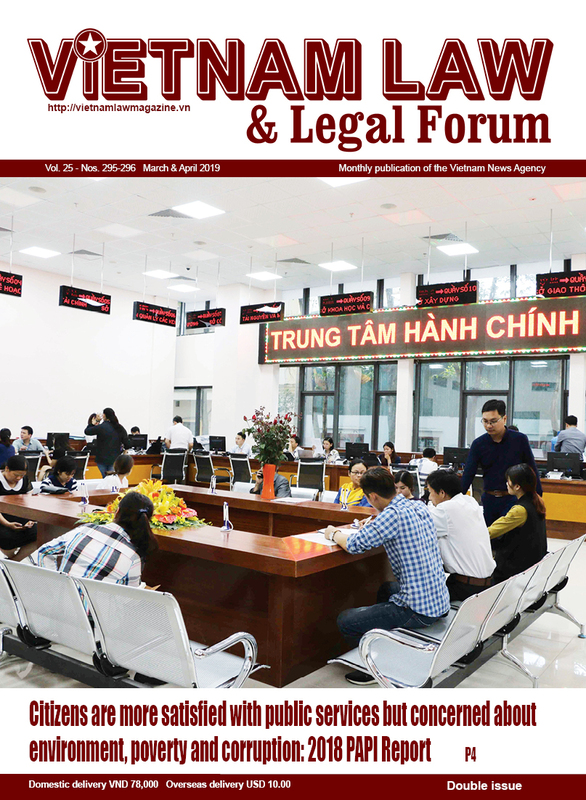 Economically, Vietnam was expected to fully actualize its commitments to the Association of Southeast Asian Nations (ASEAN) and the World Trade Organization (WTO), and engage in new-generation free trade agreements (FTAs) in the next five years. Therefore, the country should make use of international commitments to expand the market, raise economic competitiveness and self-reliance, and elevate its position in regional and global production and supply chains. It was also necessary for Vietnam to take advantage of principles and regulations of international organizations to protect the legitimate interests of the State, businesses and people in relations with foreign partners, Minh said. In the fields of culture, social affairs, health care, science and technology, among others, deepened international integration required Vietnam to take an active part in studying and building common criteria in order to better the country's performance in these spheres. Minh stressed the importance of external work during the country's international integration with a focus on synchronously implementing external orientations approved by the 12th Party Congress, enhancing Party leadership on international integration and improving the efficiency of co-ordination between the Party's external affairs activities, State diplomacy and people-to-people diplomacy, as well as between sectors, levels and localities. He emphasized the need to deepen partnerships, especially within strategic, comprehensive partner frameworks, ensuring an environment of peace and stability for the country, and promoting political, economic, trade, investment and scientific and technological ties, facilitating the country's development and global integration. To improve effective integration and fulfill international commitments, the country should enhance the dissemination of its commitments, related laws and regulations, enabling organizations and people to understand the challenges and opportunities from global integration with a view to encouraging their active engagement, he said. Thao Xuan Sung, a member of the 11th Party Central Committee and Deputy Head of the Central Committee's Mass Mobilization Commission, discussed a report on furthering close relations between the Party and people to promote the great national unity in the renewal process. He made clear the Party's view on mass mobilization and future reforms to enhance the relations as defined in the Political Report submitted to the 12th Party Congress. On Saturday, delegates to the 12th National Party Congress also discussed the documents presented to the Congress, focusing on how to build a uniform policy for national industrial development and a modern agriculture sector. Eleventh tenure Politburo member and Prime Minister Nguyen Tan Dung presided over the discussion. Eleventh tenure Party Central Committee member and Standing Deputy Head of the Party Central Committee's Economic Commission Pham Xuan Duong delivered a presentation specifying plans to map out a national industry development policy with the aim of speeding up and improving the country's industrialization and modernization in 2016-2020. Accordingly, the national industrial development policy should fully comply with the market's rules and become part of the processes of building a complete institution of the socialist-oriented market economy, transforming the growth model, restructuring the economy and implementing the three breakthroughs set earlier, Duong said on behalf of the Economic Commission. The policy needs to maximize the strength of all available resources at home, while also attracting foreign resources, he said. He added it should be grounded in science and technology, a respect for renovations and creations, and a strong relationship between industry and trade. To realize the above viewpoints, the Economic Commission came up with an array of solutions for the 2016-2020 period with a vision towards 2035. The solutions include utilizing natural resources efficiently, actualizing comparative advantages and human resources to improve the quality of industrialization, modernization and international integration, strengthening macro-economic stability and raising productivity, and focusing on sustainable development as set forth in the United Nations' 2030 agenda. Other solutions include categorizing national industry policies in groups; increasing investments in scientific and technological research as well as applications in production and business; stepping up the application of IT in State administration and management and the governance of national industry; and establishing risk investment funds in the science and technology fields. Regarding the issue of building a modern agriculture, Minister of Agriculture and Rural Development Cao Duc Phat suggested restructuring agriculture to incorporate modernized methods that earn a higher added value through more efficient operations.